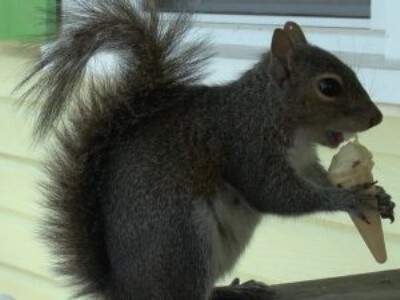 Fantasy Isle Ice Cream and Mini Golf in Holden Beach has a pet squirrel who loves some vanilla ice cream. Her name is Putter. Owners Scott and Pam Martin say Putter first showed up last summer and hasn't left since. They feed her a petite size cone made just for her and a scoop of vanilla or no-sugar-added ice cream twice a day. The Martins say she has become quite a special addition to the family. If you want to check out Putter, Fantasy Isle ice cream shop is open daily at 12 PM and mini-golf will open after Memorial Day.